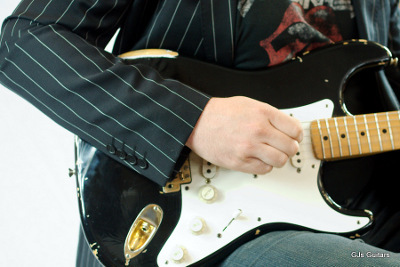 At GJ's we provided relaxed and engaging environment for Guitar Lessons. Our approach is to develop playing skills through the pupils musical interests. This can be your first steps in Guitar, Banjo or Ukulele playing or developing existing skills. For those who like a more formal teaching method we have helped students through to grade 8. If you play the video you will get a flavour of what its like learning guitar at GJ's.